The most difficult question that someone might be asked is: "Introduce yourself?" Well, if I were a buyer, I would rather look for the feedback and if I were the person...Read moreThe most difficult question that someone might be asked is: "Introduce yourself?" Well, if I were a buyer, I would rather look for the feedback and if I were the person being asked this question I would say my clients got your answer. It all started in Apr 2016 when I was talking with my friend and before the goodbye, I said: "Oh! BTW, I just started to learn web development" and he replied: "Really! that's cool, I'm learning it too and I'm gonna help you to start off on the right foot!" 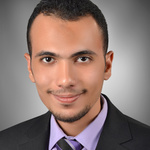 As a Dentist, it was a surprise to my friends when they heard that I plan to become a web developer besides being a student in the faculty of Dentistry at that time! That's how, after 2 years of hard work, I reached the point that I imagined long ago when my friend asked: "Are you sure? Do you think you can do it?" But that question came too late especially when the image of seeing myself achieving my goal was dominating all of my thoughts! 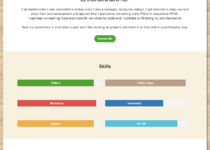 "If you see it in your mind, you will hold it in your hand"
Mahmoud has entirely redone my website and the process has been the best experience I ever had with a freelancer, whether through PPH or other providers. He is very professional, knowledgeable, flexible, creative, hard-worker, reactive and very cooperative. The design phase took him 2-3 days and the site was up running with no problem in 24 hours! It has been a real pleasure. I strongly recommend him and will definitely work with him again in the future. Mahmoud has been incredibly professional and a pleasure to work with. I would definitely recommend his services and look forward to continuing working with him in the future. Excellent work and communication from Mahmoud. Works fast and was happy to implement changes after project delivery too. Mahmoud was very understanding of our difficult circumstances and worked as quickly as possible to solve our problem. Great communication. As always, great work, excellent communication, and quick turnaround. Mahmoud did a great job. He understood my needs and delivered flawlessly. His in depth knowledge around UX and UI is highly commendable and I would recommend his services for anyone looking for quality piece of work with an expert in the field. Thank you again Mahmoud looking forward to our continuous work in the up coming future. Squarespace with custom coding. Create hover effect on Index page. Mahmoud did an amazing job. He showed a huge amount of patience as we went through many variations, as well as taking the time to explain everything. His communication was outstanding, and always done in a timely manner. I would definitely recommend working with him. Mahmoud was great! He quickly interpreted the brief and made some much appreciated suggestions. I was very grateful for how quickly he turned the project around for me and will definitely turn to him for help in the future. Thanks again! Great work from Mahmoud. He was patient and completed the job swiftly.